Developed and released by Betsoft Gaming, Under the Sea slot machine features 5 reels and 30 paylines and is very suited to most types of slot lovers because of its wide range of betting options. Under the Sea is fully packed online casino game with some amazing 3D animation, colorful underwater background, great payouts and constant wins. There is some pretty cool soundtrack in the background, but you should be aware that the music changes during the bonus games. The coin denominations begin at just 2 cents and goes up till 50 cents. You have the opportunity to place a maximum of five coins on every active payline with the maximum bet set at 150 coins. If you are asking yourself which, is the best payout in the game, the amount is set at 16k coins, which makes this game super-exciting. The RTP rate for Under the Sea Slot machine is set at a healthy 96.80%. 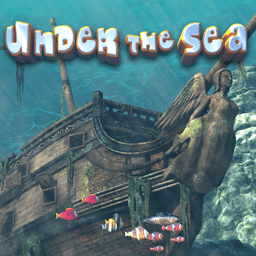 There is a whole new underwater life ready to be conquered in the Under The Sea slot game. Mermaids and all kinds of fish are brought to life in this brilliant video slot machine. Try to imagine swimming deep down in the sea only to discover a effervescent, colorful life a few feet under the water. 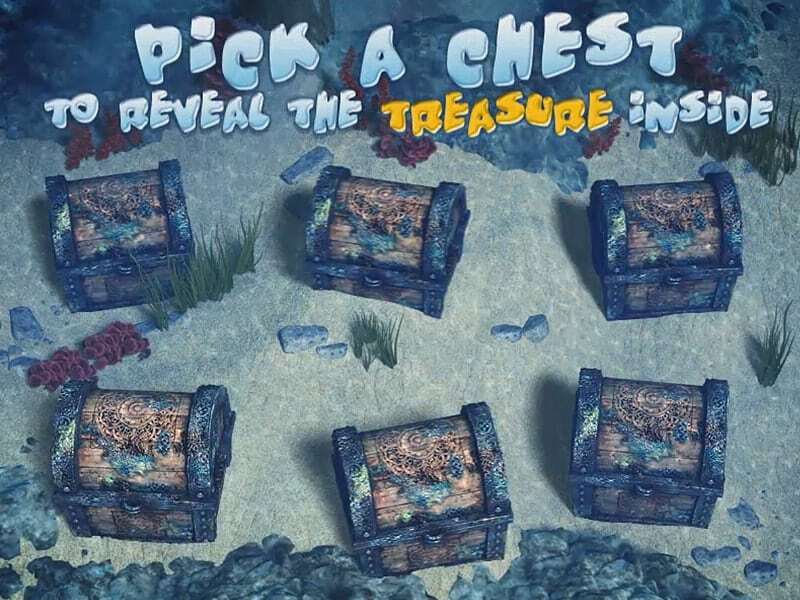 This online casino game is more an underwater themed adventure but also a treasure hunt. The Under the Sea slot is truly a fantastic slot, and the graphics is at its best, so you’re going to enjoy it with the 1st spin. 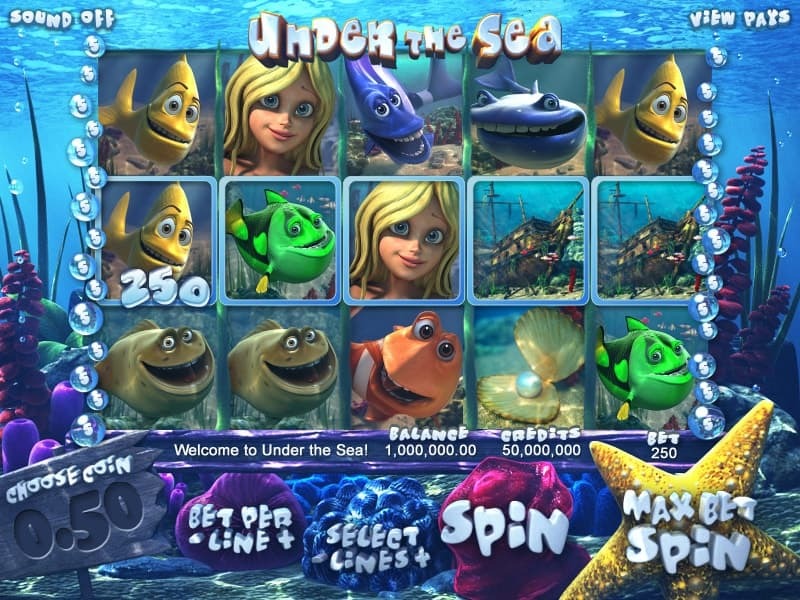 The reels on the Under The Sea slot game are richly animated with theme-related symbols. Symbol include a mermaid, Nemo-lookalike clown fish, comical looking fish, clam with oyster, ship wreck and treasure chest. Under the Sea video slot offers a high level of entertainment being fully packed with free spins bonus round, scatters and wilds. The biggest win during the base game is 5 mermaid symbols which offer you a decent payout of 500 coins. The Wild symbol is represented by an orange tropical fish and the Scatter is a turtle which help you trigger the bonus rounds. If you manage to hit 4 or more Scatter symbols anywhere in view on the Under The Sea slot, you will activate the Free Spins round. For 3 Scatters you will be rewarded with 5 free spins, for 4 of them you will win 10 free spins and for 5 Scatters, 15 free spins. During the Free Spins round all your payouts will be doubled and by landing the necessary amount or Scatter you will activate even more free spins. Furthermore, by landing 3, 4 or 5 of turtle symbols on an active payline in Under The Sea slot game you will be rewarded with 180x, 320x and 1000x your line stake respectively. 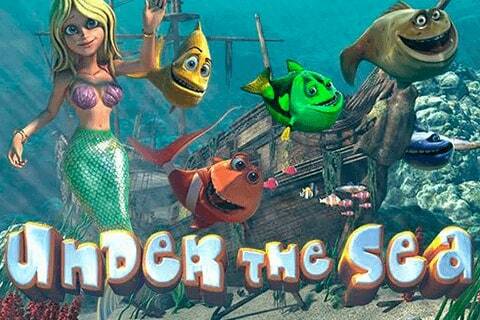 To summary, Under The Sea slot machine is a great underwater adventure and treasure hunt. If you enjoy video slots with a treasure hunt theme, you’ll most likely enjoy this slot game. Casinos Online Review recommends this slot for all the 3D slots graphics and constant payouts that comes with any video slot that has a high RTP. Play Betsoft’s Under The Sea slot for free in the casino GAMES ROOM or signup at one of our top Betsoft Casinos below and play for real money!